New York Yankees ace Luis Severino will likely miss the first month of the regular season due to a shoulder injury, general manager Brian Cashman said Friday. 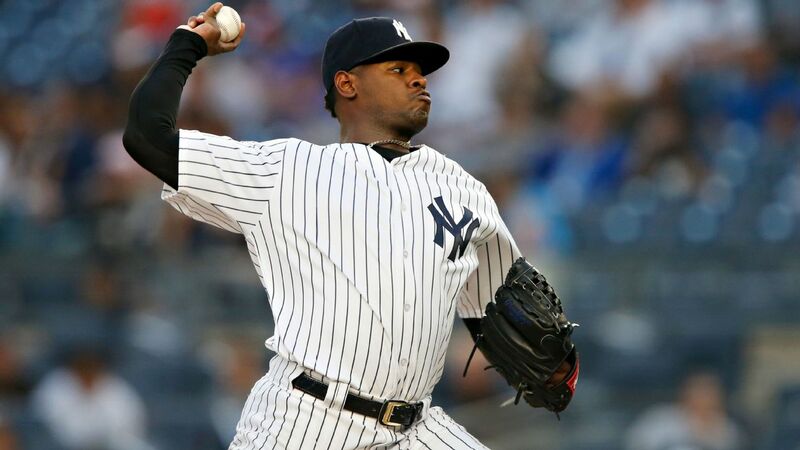 Cashman told reporters at the Yankees' spring training facility in Tampa, Florida, that it was unlikely Severino would be ready to pitch in a game before May 1 because of the rotator cuff inflammation that flared up in his right shoulder just before a start two weeks ago. Originally, the Yankees had hoped he might be able to rejoin the rotation by mid-April after being shut down for two weeks and beginning a series of anti-inflammatories and receiving a cortisone injection. Severino is just beyond the halfway point of that two-week shutdown period. He told reporters Friday that his expectation is to resume a throwing program sometime next week. The rotator cuff became inflamed minutes before a March 5 start at George M. Steinbrenner Field against the Atlanta Braves. After throwing a series of fastballs during his warm-up, the right-hander attempted to throw a slider. When he did, he felt what he described as a "pull" in his shoulder and immediately sought medical attention. Cashman also said Friday that he expects veteran CC Sabathia to return to the rotation in mid-to-late April, as he finishes his rehab from offseason knee surgery and an unexpected heart procedure. Until Severino and Sabathia return, the Yankees likely will turn to young pitchers such asDomingo German, Luis Cessa and Jonathan Loaisiga to help fill the void. Cessa has been particularly impressive this spring, boasting a 0.69 ERA in four starts. In 13 innings, the 26-year-old has 13 strikeouts and has allowed seven hits and just one run. Cashman also expressed pessimism that center fielder Aaron Hicks would be ready for Opening Day on March 28. Hicks has spent much of spring training fighting through a lower-back injury. He said earlier this week that he expects to be healthy by Opening Day, but Cashman said he isn't sure if the outfielder will have had enough spring training at-bats to impact the club at that point.